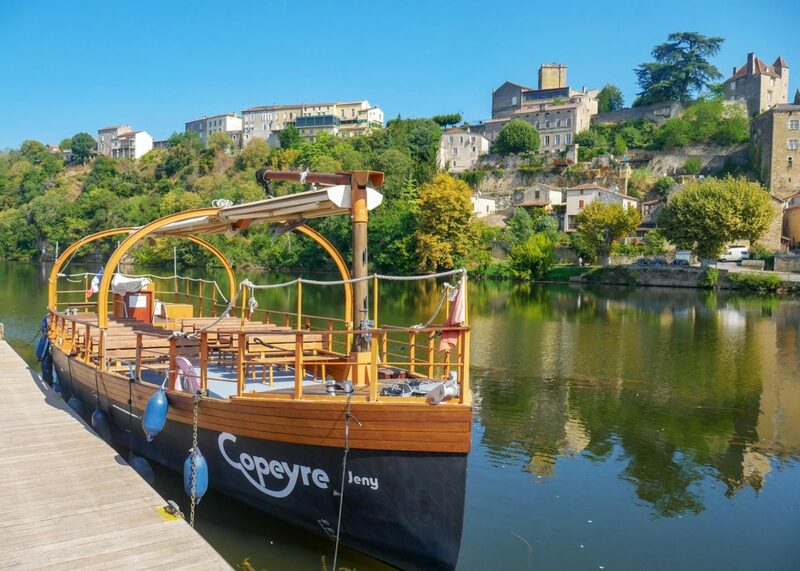 Standing on a rocky promontory overlooking the Lot, Puy-Bishop is a village with authentic charm that nestles in the heart of Cahors vineyards. His dungeon, the palace of the Bishops and the ocher-colored houses are beautiful remnants of its medieval past. Quays bordering the Lot were once craft areas. Puy-L’Évêque Market, READ MORE HERE. Bathing in the river in Puy-L’Évêque, READ MORE HERE.